Water-resistant smartphone cameras with 4k and superslow-motion video capabilities are strong contenders in the action camera space, although staunch adventure enthusiasts will disagree. The recently launched GoPro's Hero 6 Black is a fine example of why action cameras are here to stay. 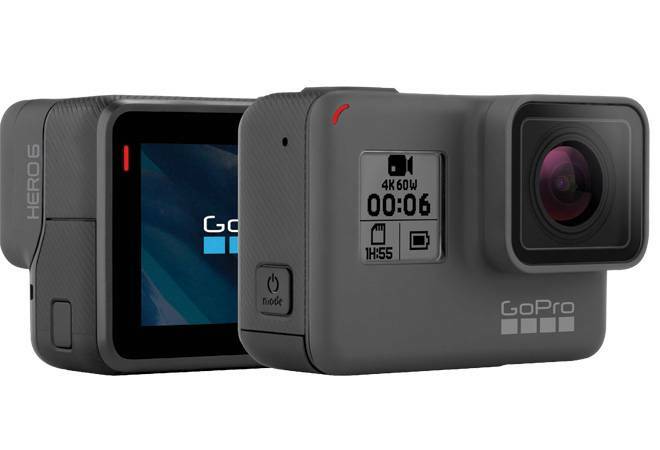 GoPro Hero6 Black has a camera and status screen in the front, a 2-inch touch display at the rear, a button to power on/off and switch modes, a quick capture button on top and charging port, card slot and battery hidden under different removable covers in a compact rectangular-shaped body. There is, of course, a sea of GoPro accessories that can be purchased, but the Hero6 Black is actually ready to use right out of the box. It can be mounted on a tripod or attached to a helmet using the stick mounts and is perfectly water resistant till upto 10 metres. I strapped it on my leg to capture underwater footage and attached it to my helmet to capture dune bashing and while riding the quad-bike. Despite the crazy movements, the videos weren't shaky at all. Depending on the resolution used, I was able to switch between wide, super view and linear fields of view. The camera can be operated without unmounting it using voice commands - I could start and stop recording, switch to time lapse, capture image and more. However, the voice command to turn on/ off the camera failed to work. The GoPro Hero 6 Black supports wireless connectivity. When I paired it with my phone using the GoPro app, my phone became an electronic viewfinder using which I could switch modes, change settings and control the Hero 6. GoPro Hero6 has the same design as the Hero 5 Black, but when it comes to functionality it is well updated. It is ideal for professional use.